An industrial-grade, water-based, proprietary sealer designed to densify, strengthen and waterproof concrete. Lithi-Tek 9500 penetrates pores in the concrete to strengthen it by up to 50% while providing hydrophobicity in a single application. This proprietary blend of chemistries, shipped concentrated, is why we believe it is the concrete sealer industry’s most innovative product. Needed a good solution to seal my basement floor and reduce the amount of concrete dust that was being tracked into my home. 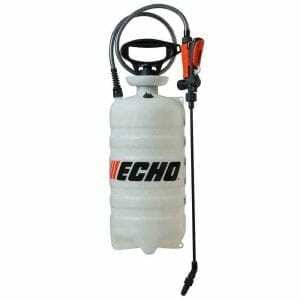 It was a great solution to my problem I found it to be very economical since it was concentrated and it made 5 gallons. It was very easy to use and it was also very easy to clean up. Okay let me preference this comment by saying I have done a lot of research and when I say a lot I mean a LOT! I finally decided on Ghostshield and their Lithi-Tek LS 9500. The problem I was having is my basement walls were constantly damp from the ground water. I tried everything cause I wanted to redo my basement and make it livable. Finally I decided to test all four walls with 4 different products. I tried Kryton, Drylock, SealKrete and Ghostshield… The Drylock didn’t work neither did the SealKrete. 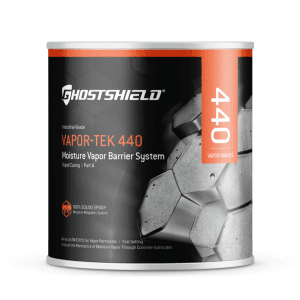 So now I was down to the Ghostshield and the Kryton, Which one did I go with… well I obviously went with the Ghostshield since you are reading this review but why? well they both performed essentially the same however the Ghostshield was easier to use and inexpensive. I finished my basement and have not experienced anymore moisture problems. Easy to use, didn’t have an odor, mixed it with 4 gallons of water, I applied as instructed and it dried completely clear. Treated my whole basement and it has worked good so far. The mortar around my brick home was deteriorating badly so this product was recommended, I applied 2 coats and it is now hard as a rock and has saved me a fortune now that I don’t have to replace the mortar. thanks Frank. Decent product, so far it has performed just as promised. Shipping time was great (took about 3 business days), can’t comment on the 100 year warranty… but if I get 20out of it I’ll be happy. This was the perfect product for the job and it came in two easy to use 1 gallon bottles that I could easily transport and mix with water when I got there, much easier than carrying 5 gallon buckets to the site. The sealer was easy to apply and the second coat went on wet without drying time for the first coat. Dries clear. If your looking for a great performing densifier/waterproofer look no further. I’ve used pretty much every product out there and this is by far probably one of the highest performing options readily available. I would say it’s a cross between Diamond Hard and Xypex Modified, both of which work good but this was half the price and performed better. Wish I knew about it sooner. I purchased 4 gallons for my contractor to apply to my entire driveway. I opted for the 9500 even though after my research I really wanted to use the 8500 (the 8500 was out of my price budget). I figured it had never been sealed since I owned the house so it would be better then doing nothing. He applied 2 coats in about 5 hours. It seems to be working well, the water doesn’t soak in as much and I have not had to clean it as often. I found this product to be too expensive for me I didn’t realize you have to apply two coats and I had to buy another gallon. Got 2 gallons, now ask me in ten years how well this product works. It’s frustrating to read reviews which report spectacular results after a couple of years of performance, what’s the point. Otherwise, the product was clear, odorless, applied easily, and if it performs as represented, then I’ll be quite satisfied. My package got damaged in the mail so they had to send me another one 10 days later, I sealed my shop floor with two coats as the directions said, it worked good as a densifier, It definitely increased the abrasion resistance and cut down on the dusting but I spilled a quart of oil on the floor and cleaned it up pretty quick but it still stained my shop floor. I suppose it wasn’t as bad as it could have been had I not sealed the floor but I did call customer service with the complaint and they informed me that the 9500 was not an “oil repellent and for that I needed one of their other products”. I told the lady I wish I had been informed at the time of purchase and she said I didn’t ask. Well in my opinion she should have known, I did say I was sealing a shop floor. When I first opened the packaging I thought it looked very watery. But as I was applying it it was almost as if I could see and hear it reacting with the concrete. Now when I try to pour water on my driveway it beads right up, definitely works no questions about that. Make sure you clean your concrete before applying this product and that there are not previous sealers on the concrete. I didn’t realize my concrete was previously sealed until the product dried on the surface instead of penetrating like it should have – my fault I should have tested it out first, but their support team was great and helped me fix the floor. Don’t apply to bricks since the product will not work and the bricks will turn white, use the Siloxa-Tek 8500 (learned this the hard way but it was my fault since it says right on the site not to use on bricks) But I used the remaining 9500 on my driveway just to waterproof it and when applied to concrete (and not brick) it beaded up great! I have a 2-inch reinforced poured concrete garage top that was constructed in 1971. I recently had the top power cleaned and treated with two coats of Ghostshield 9500 in Oct. 2016. What a fantastic product. When it now rains, water beads on my top resembling Saran Wrap just out of the shower. I’m SO GLAD I learned about this product! So penetrating is this product that a pinhole, the size of a pencil point, that I had prior to coating marked on the underside with a pinch of masking table, was observed with the tape itself englazed in the 9500. I’ll definitely be one to recommend this great product! Keep up the great waterproofing products! Great solution, I still cannot get over the way water beads right off of my concrete driveway, it is so clean and dry! I would recommend applying with a sprayer if you have a large amount of square footage since it took my husband and I about 2 hours to seal our 1000 sq. ft. driveway with a sprayer, i’d imagine rolling would take longer. Amazing is an understatement, we read all the reviews and this stuff works! As the other reviewers say you need to apply the second coat very quickly since the first coat dries fast! Ordered this last year but didn’t get a chance to use it because the rains came and out basement was too wet. You need to make sure the moisture of the concrete is less than four percent and we were well above that. Come fall our basement had finally dried out and we used the 9500. This past spring after all the snow melted out basement was dry! No water had seeped through the foundation of our home. This product saved us thousands of dollars to having a professional waterproofing company have to come out. Even if it only works for a few years it was totally worth the small investment! I would recommend this for concrete but, I wouldn’t use it on bricks because after I sealed my driveway I thought I could use it on a brick walkway but it turned white, so I used the 8500 on the brick instead. Applied easily. Seems to repel water well. Only been on a month. It’s my own fault, everything I read said not to overapply it or it would turn white but for some reason I kept thinking more is better. It turned white but I called customer service and they said to use a wire brush and sweep it across the surface, it worked and I shop vac up the dust and it was as good as new. Water still beaded like crazy. Remember less is more in this case. I got a sample of the 8500 and the 9500 and they both beaded and looked the same but I live in Alabama so I did not need the salt protection of the Siloxa-Tek 8500 which was great because the Lithi-Tek 9500 was more in my budget. Even though it’s 100$ a gallon it makes 5 gallons so it’s realy 20$ a gallon which makes it one of the cheapest sealers out there.